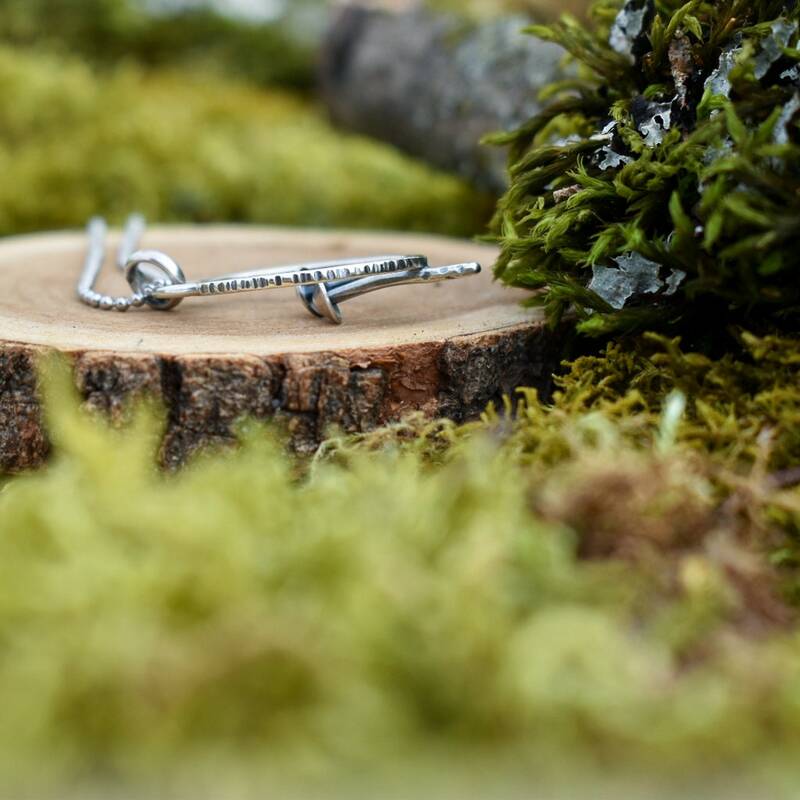 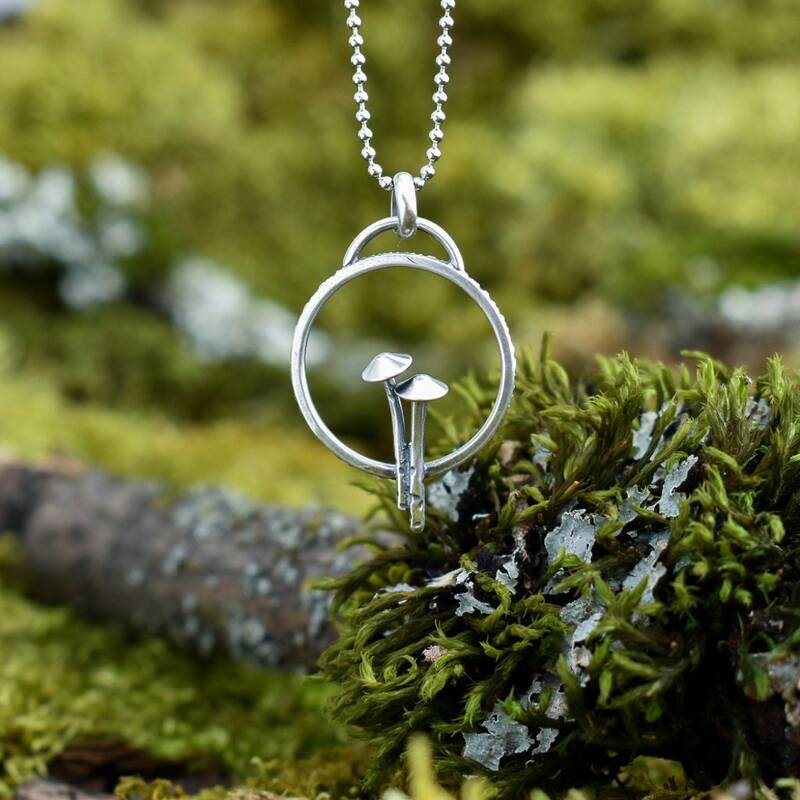 Featuring a pair of mycena mushrooms delicately perched on a hammer textured bark loop with, this pendant is an homage to the beauty of fungi. 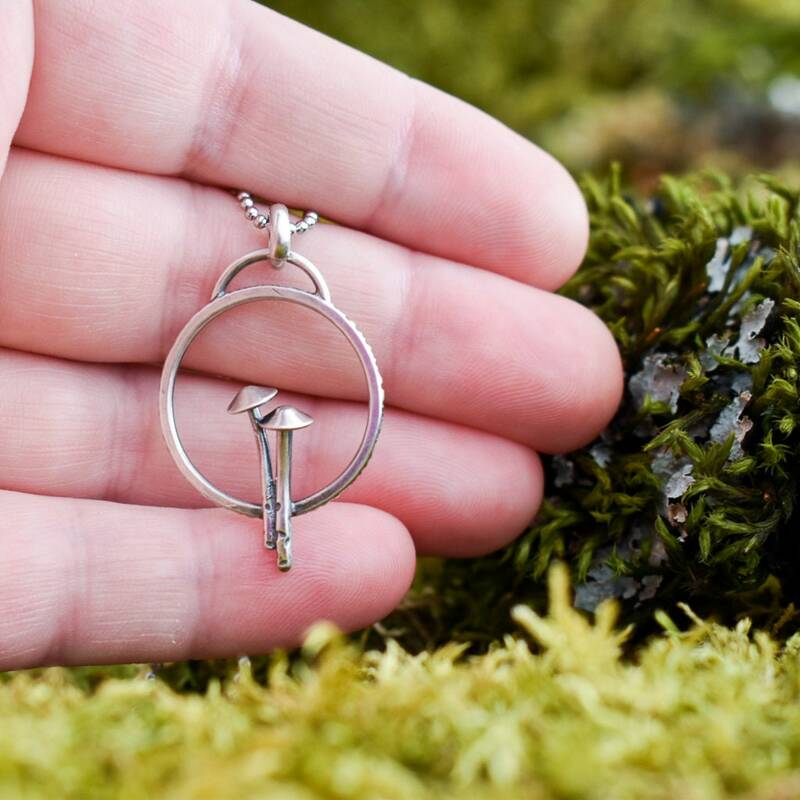 This pendant was created completely by hand from silver sheet and wire using traditional silversmithing techniques. 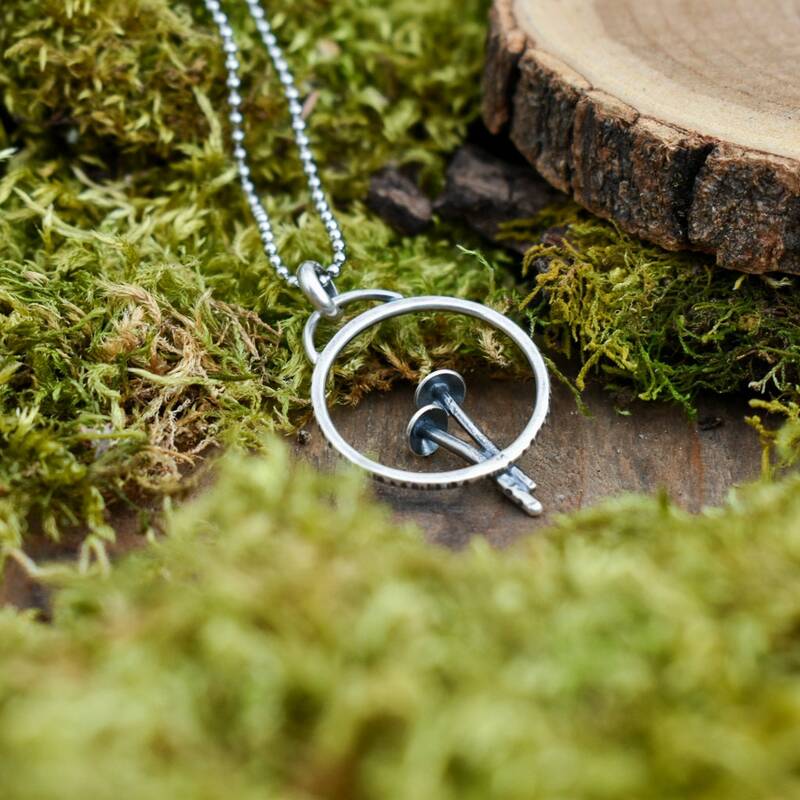 A hand applied dark gray to black patina accentuates each hammer mark.